What do all those different reset options mean? When you’re resetting your phone, iOS presents you with a host of different options, and it can be confusing to know which ones to choose. 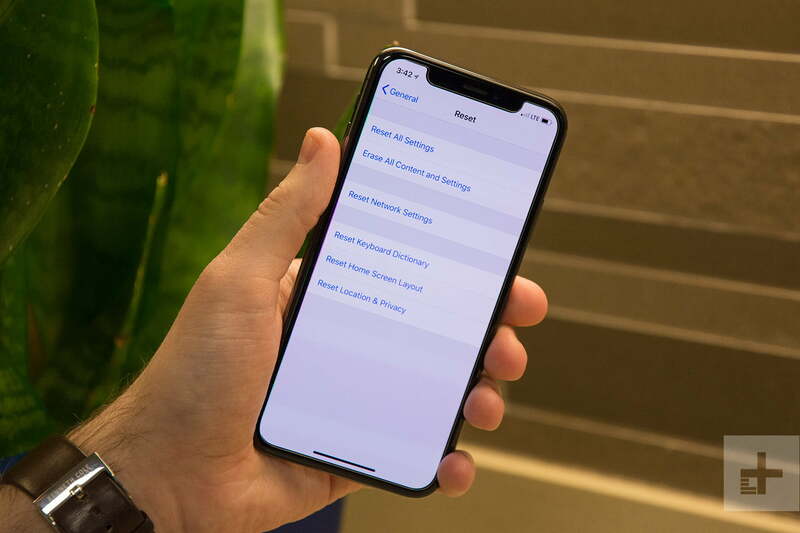 Usually, you’ll want to perform the aforementioned factory reset, but here’s an explanation of what the other options do so that you can choose the best reset for your needs. Note: If you are selling your phone or turning it over to someone else, the only one that safely erases everything and takes your phone back to its original state is Erase All Contents and Settings. If you choose this option, you won’t lose all your data, but you will lose your settings and Wi-Fi passwords. Manual settings will disappear, sure, but you’ll still have your pictures, apps, and other content. This is the option we described at the start of this post, which erases everything from your device. Your settings, pictures, apps, and other data will vanish for good — unless you’ve backed up your content. Sometimes you just need to refresh your network settings to set up a better connection. Choosing this option resets your network settings, flushes the cache, and deletes any temporary files you have stored on your device. It’s great for those who are experiencing trouble with various Wi-Fi connections. Sometimes autocorrect can do more damage than good. If you feel like your iPhone is always suggesting typos and the wrong words to you based on your previous messages, you can always reset the keyboard dictionary. Although most people like to set up their smartphone’s home screen with their favorite apps, sometimes it’s nice to change things up a bit. If you ever want to go back to the original home screen layout that came with your phone, you can choose this reset option. Sometimes, when you start tapping around in settings, you can mess things up. If you want to go back to your phone’s original privacy and location settings, this is the reset for you. All other info will remain intact. How to factory reset an iPhone using iCloud	What do all those different reset options mean?